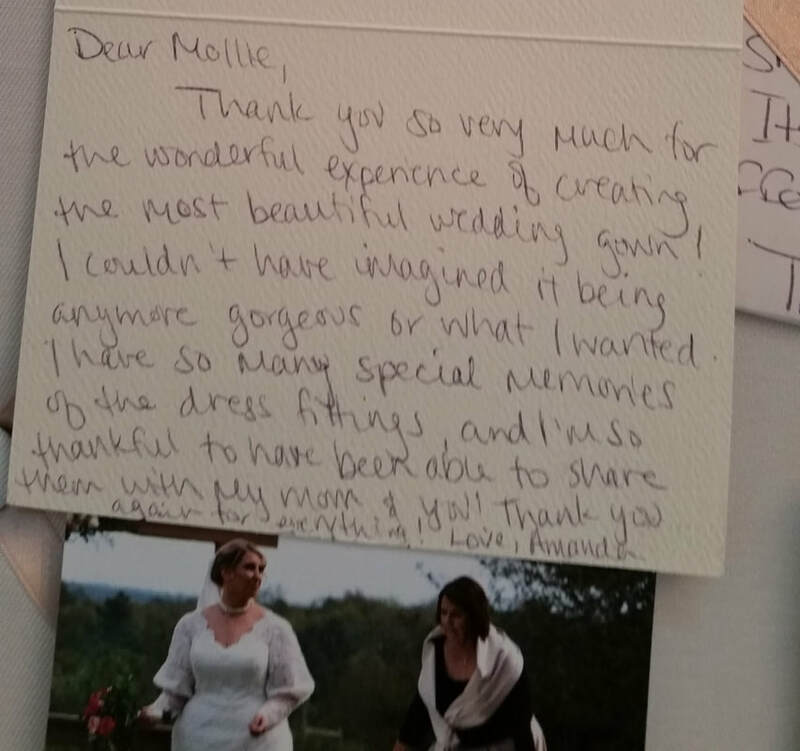 "I can't thank you enough for all that you have done to make sure that I had the gown of my dreams. You went above and beyond to make sure I was happy. And for that, I will be forever grateful!" 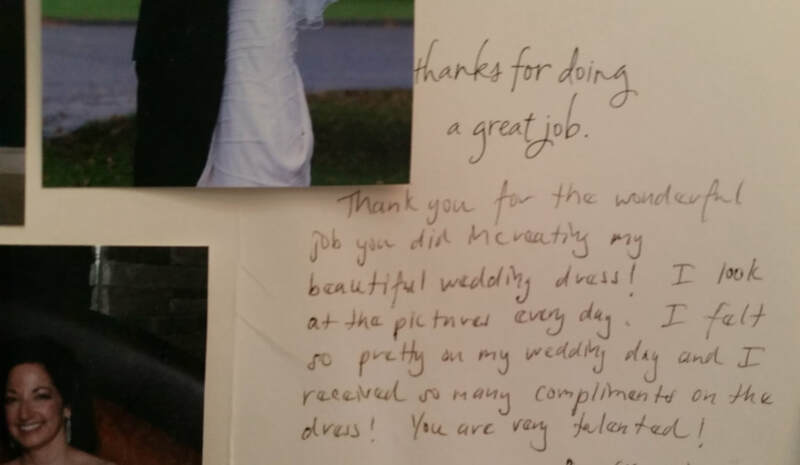 "Thank you so much for making my wedding dress fit me perfectly. I am so happy Kelly referred me to you. Both my mom and my maid of honor were impressed by the bustle and by how easy it was!" "Mollie, you are WONDERFUL! Danilee and I cannot thank you enough for coming to our rescue with our almost catastrophe." "Thanks a bunch Mollie. We would like to say thank you for all of your kind actions. They showed us that kind people still exist." 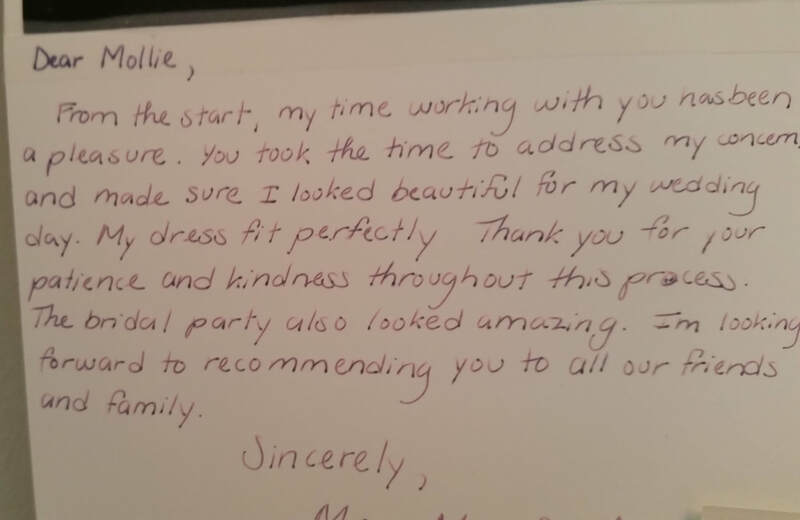 "Mollie, thank you so much for your wonderful alterations and stress-free fittings!" Mollie, thank you so much for the beautiful handbag. I know you said it wasn't much, but it was very thoughtful of you. It reminds me of my favorite quote from Willy Wonka, a childhood favorite movie. "Such is a good deed in a weary world." It's the small things that truly make a difference.